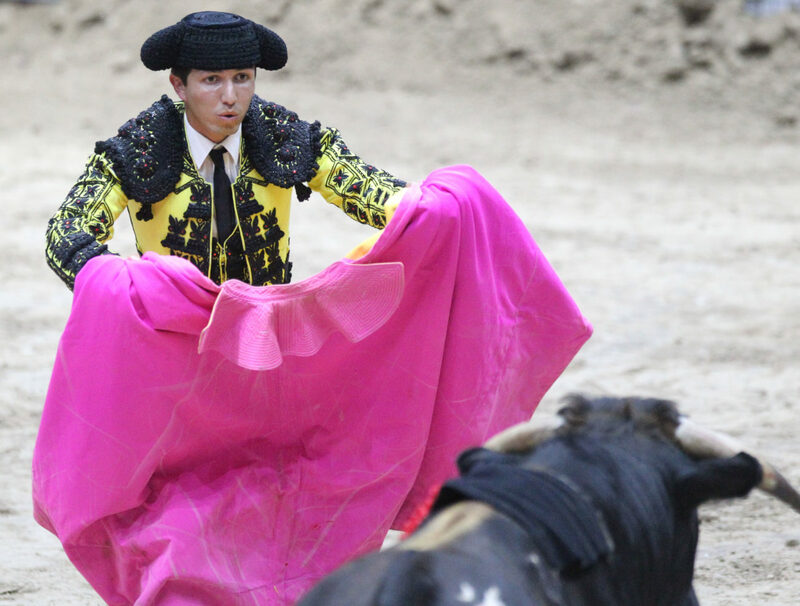 Hidalgo Borderfest Bloodless Bullfight World Class Matador Manolo Martinez Jr. during a corrida at State Farm Arena Sunday March, 4, 2018 in Hidalgo. 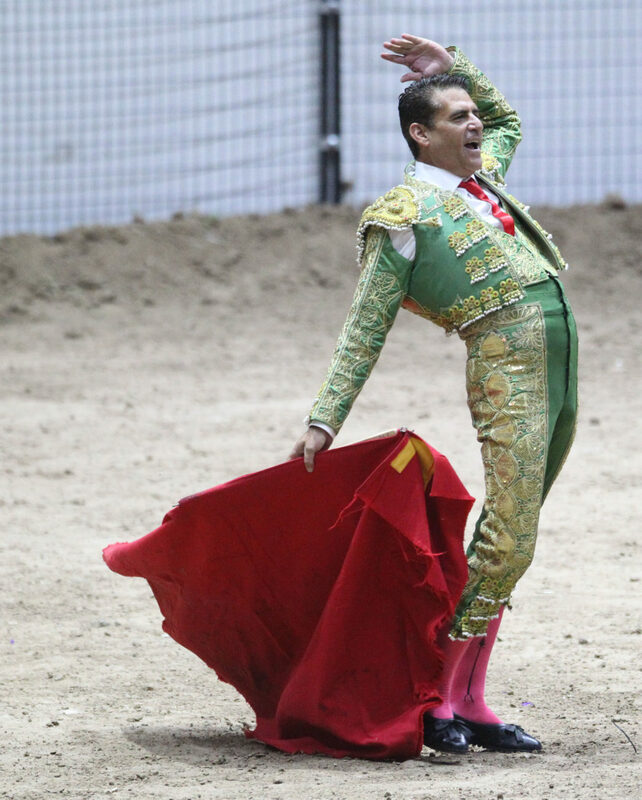 HIDALGO — State Farm Arena transformed Sunday into a large bullring for the Bloodless Bullfight as part of BorderFest’s celebration of Spain. A city celebration that completed its 42nd year, BorderFest is a culture and heritage festival which celebrates different countries every year and brings a slice of culture and history from the particular country to the Rio Grande Valley. 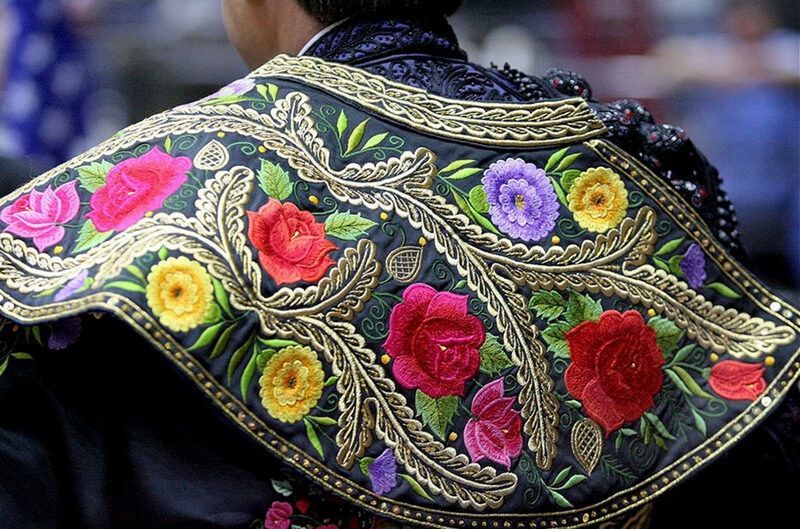 As the clock ticked ahead, getting ready for show time, the six world-class matadors were suiting up in their Traje De Luces (suit of lights) with colors of purple, blue, yellow and green, including the accessories of the black montera hat, pink silk medias (socks) and zapatillas (flat slippers) as part of the attire. When the gentlemen walked out to the ring, the people sat on the bleachers waiting for them to display their unique skills on the arena grounds. Meanwhile, the four bulls waited in the close-by trailer. 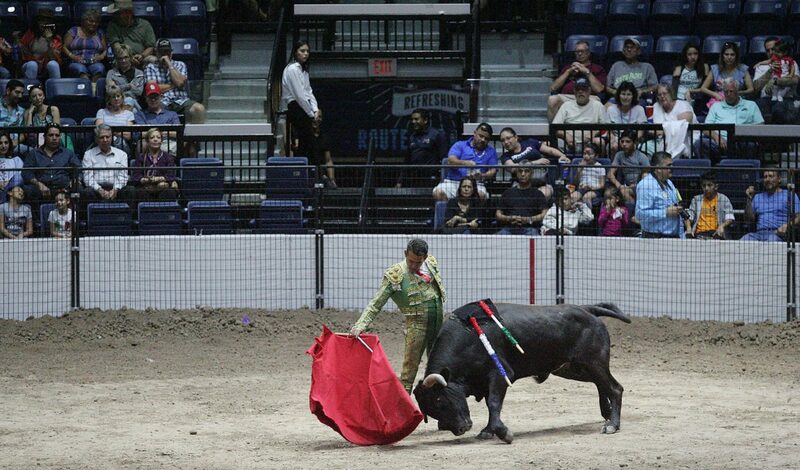 A packed house witness the first Borderfest Bloodless Bullfight with World Class Matadors at State Farm Arena Sunday March, 4, 2018 in Hidalgo. 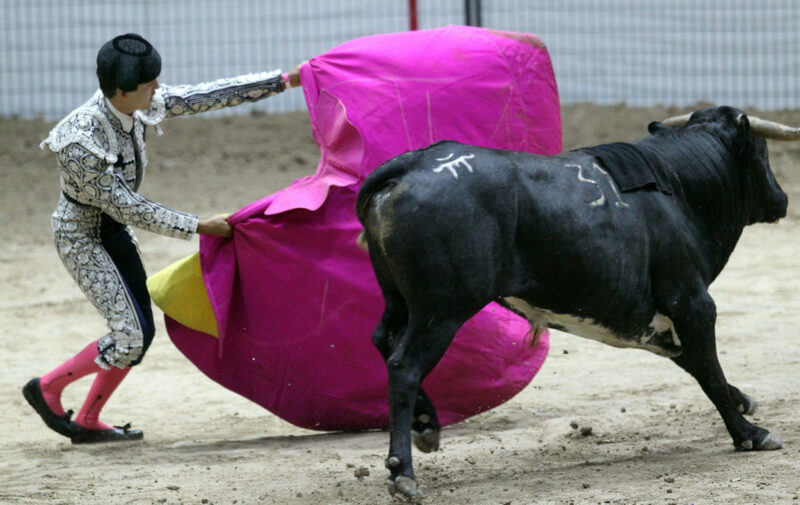 Hidalgo Borderfest Bloodless Bullfight World Class Matadors prepare to perform at the State Farm Arena Sunday March, 4, 2018 in Hidalgo. 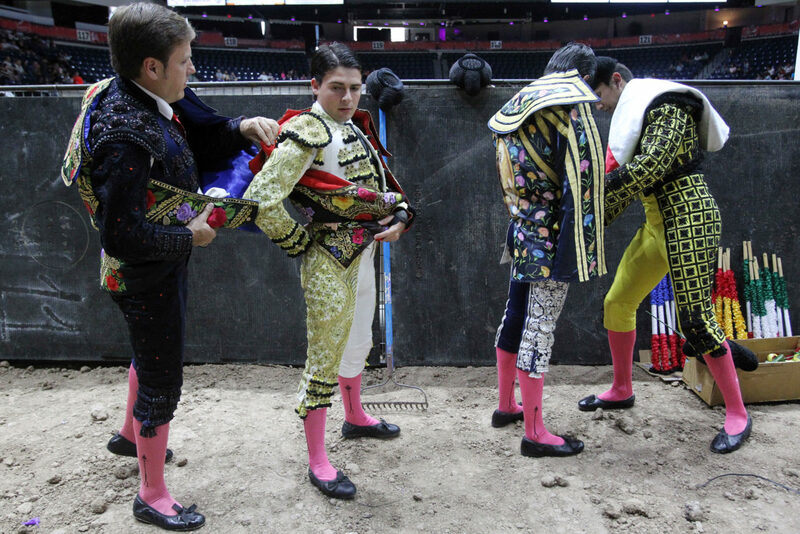 Matadors Jose Daniel Ayala, Michelito Lagravere, Mariano Sescosse, and Paulo Campero prepare backstage before their performance bloodless bullfights at State Farm Arena Sunday March, 4, 2018 in Hidalgo. 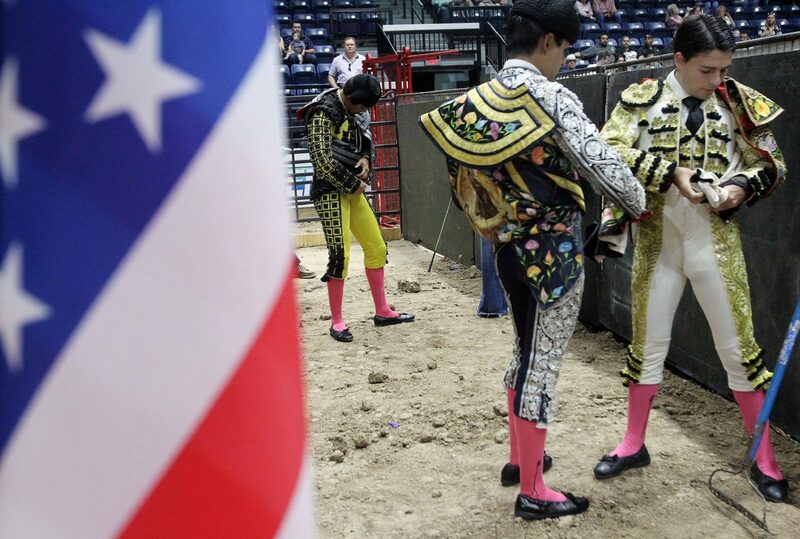 Gerardo Martinez, whose family has bred fighting bulls for several years, said in the 400-year history, there hasn’t been anyone who is as young as Michelito, who has reached the level he has reached. 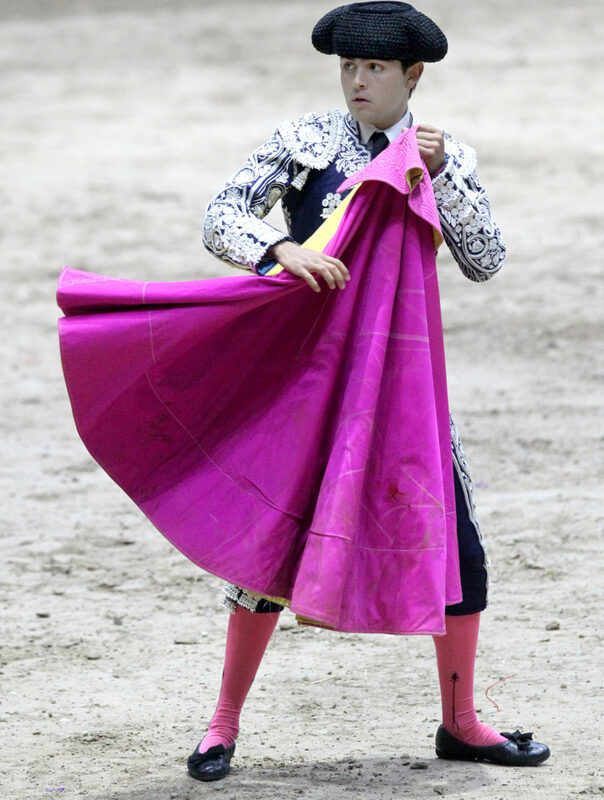 Martinez was also one of the judges at the bloodless bullfight. “I’m one of three judges in the ring. Between us, we decide who is the better fighter tonight, depending on their work and the reactions of the audience,” he said in Spanish. Gustavo Serna, originally from San Benito and currently a Houston resident, attended with a friend and said he decided to check out BorderFest for the first time. 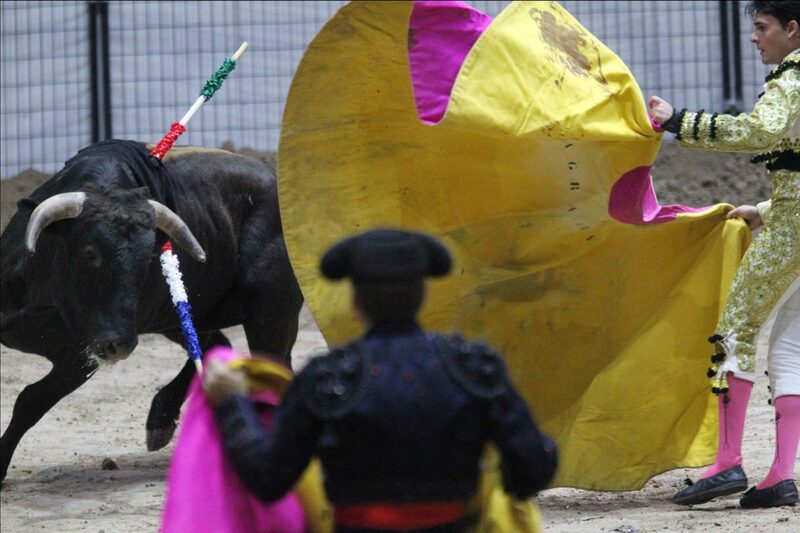 Dan and Teresa Hyland, who were vacationing from South Dakota, were also interested in the bloodless bullfight.